Got a car-lover in your family but stuck for Christmas ideas? Don’t worry, here’s a round-up of 25 things that petrolheads will almost certainly love, covering all price brackets. We also have more specific top 10s to suit particular budgets, as well as picks of games and DVDs - click here to see them. You know it. We know it. Lego is as appealing to adults as it is to kids. In fact, even Lego knows it – hence the Creator series, which puts enthusiast designs into full production – usually for quite a bit of money. In this case, £110. But for a Lego or transport enthusiast it’s great. 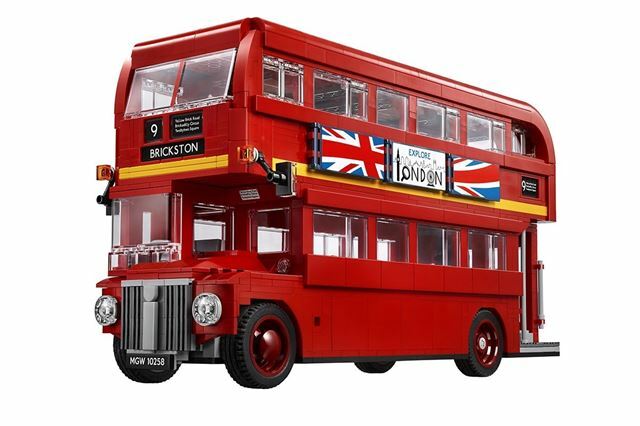 Based on the Routemaster, it comes with a choice of 1950s or modern-day advertisements, depending on preference. There are 1686 pieces, so it’s incredibly detailed and certainly aimed at the more experienced builder.